Kythnos (or Kithnos) is a small island in the Cyclades in the Aegean Sea, with easy access from Athens and popular with Athenians on summer weekends, and as a place for a second home. Tourism came late to Kythnos as it has no airport and its port was too shallow to allow larger ferries to dock. A better harbor was built in the 1970s and it was then that tourism took off, although it is still not as well-known to foreign visitors as it is to Greeks. Kythnos has no airport but the fact that there are good ferry connections from Athens makes it a great choice if you want to enjoy a quieter holiday. Those easy ferry connections, however, do mean that it is popular with Athenians in the summer, especially at weekends. 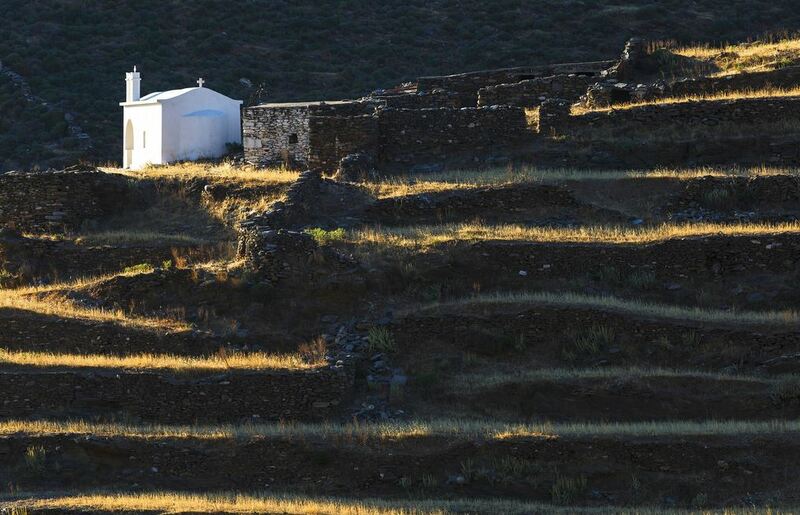 For the best chance of peace and quiet, visit Kythnos in late spring or early autumn. Ferries from Athens to Kythnos leave from both Piraeus and Lavrio. It's a 2-hour bus ride to Lavrio from the Mavromateion bus station in Athens, but there are 1-2 ferries daily in the holiday season and the journey from Lavrio to Kythnos takes about 90-100 minutes. The ferries from Piraeus run six times per week in the holiday season and the journey time is about three hours. At the time of writing there are also ferries between Kythnos and some of the other Cyclades islands including Kea, Kimolos, Milos, Serifos, Sifnos and Syros. 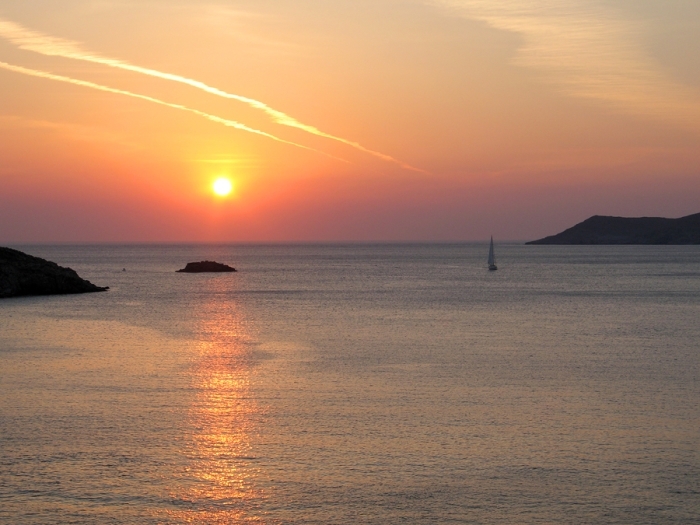 There are no ferry connections to islands outside of the Cyclades, or to other mainland ports apart from Piraeus and Lavrio. One of the delights of Kythnos is that there is very little to do, making it an island where you can really get away from it all. 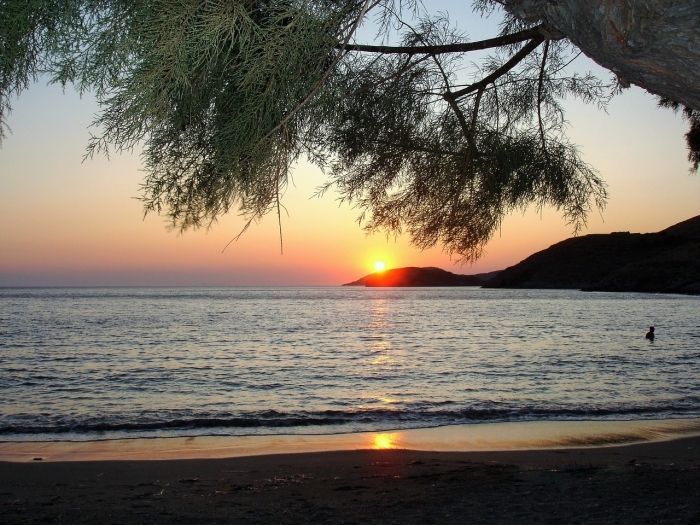 It does have some terrific beaches - one reason it's popular with those Athenian holidaymakers. To get to some of the best you can walk through Kythnos's rolling hills, so it's a good island if you like hiking too. There are lots of trails although they're not always well-marked so be prepared to get lost. 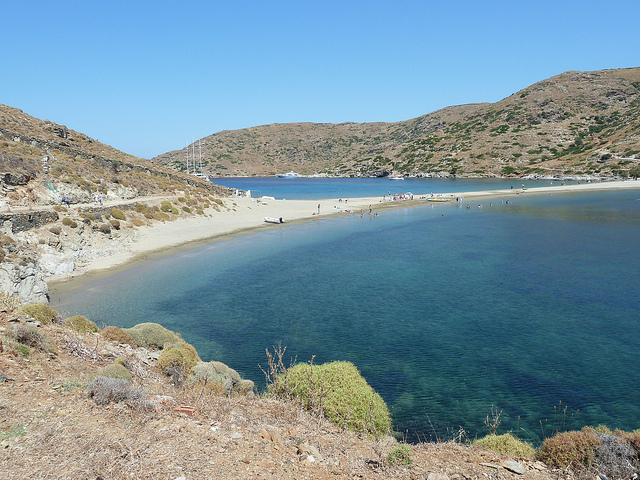 Alternatively you can hire a guide or book a hiking holiday with Kythnos Hiking. Again, spring and autumn are the best times for hiking. The average temperature in midsummer is about 85F/29C, meaning that it often gets a lot hotter than that. Its best and most picturesque beach is at Kolona on the west coast. There are two beaches here, one on the main island and the other stretching out and joining Kythnos to a little offshore island. It's very picturesque… and very popular. There is a café at Kolona in the summer but many of the beaches are not organised so you should go equipped with food and water, and something for shade, if you need it. The main town and capital of the island, Chora, also goes by the name of Messaria. It's a pretty town with typical whitewashed Cycladic houses, narrow streets, several old churches and has some good restaurants thanks to that regular influx of well-to-do Athenians. It's about 5 miles/8 kms from the port, and although it's inland there are several beaches within walking distance. Chora also has a Folk Museum you can visit. Photo by Milan Gonda (see more of his photos on our page Photos of Greece). 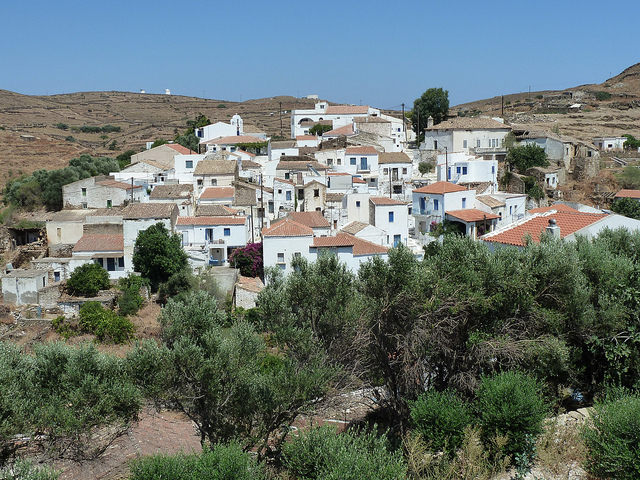 Driopida is a really attractive mountain village about 7.5 miles/12 kms south of Chora, and it used to be the capital of the island. It has really narrow winding streets which even Greek drivers can't get down, and some old mansion houses. 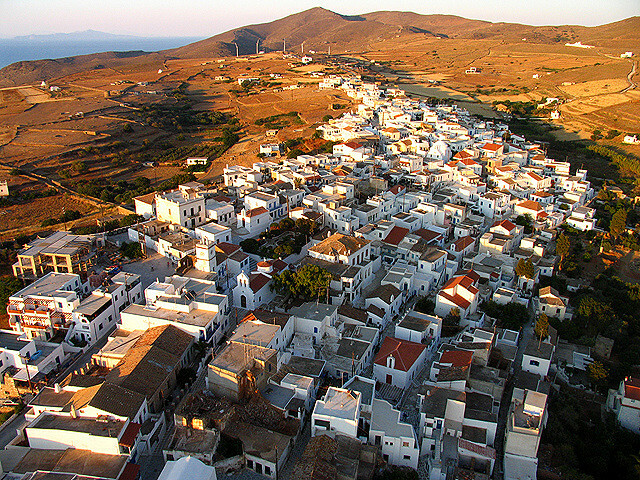 Here the whitewashed houses have brown-tiled roofs rather than the more typical flat roofs elsewhere on the island. There are also two small museums in Driopida, a Byzantine Museum and a Folk Museum. 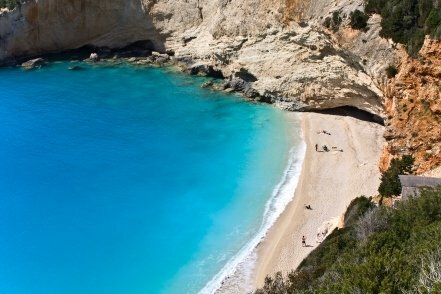 One of the main attractions of Driopida, and one of the few attractions as such on the island, is the cave of Katafiki. It's one of the largest visitable caves in Greece and was first known about in the 1830s. 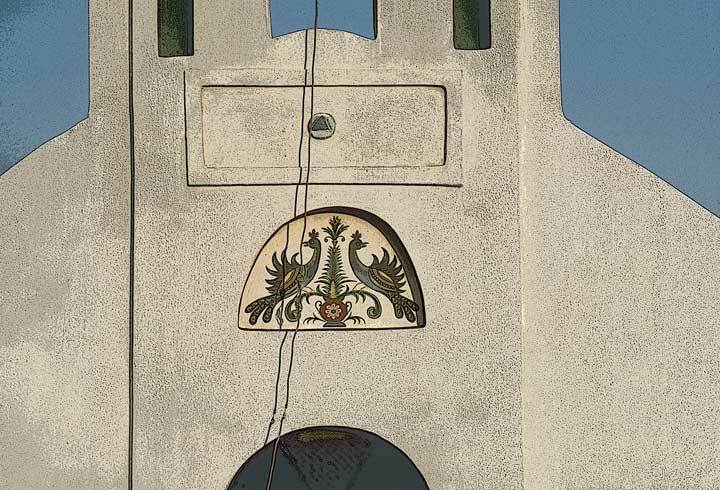 The name katafiki in English means refuge, and that's what it has been to local people in times of risk, and especially during the German occupation of World War II. As well as being a tourist attraction it's also a focal point for people to celebrate the Resurrection of Christ on Easter Sunday. If you happen to be on Kythnos for Easter, head to the cave. You'll be made very welcome and have an unforgettable experience. Many people choose the fishing village of Loutra as a base. 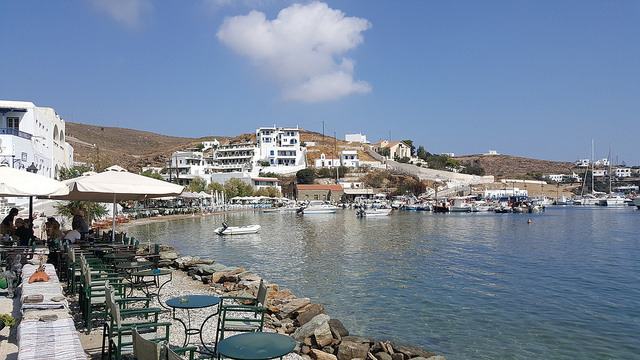 It's about 3 miles/4.8 kms from Chora and is a very laid-back but there's also a marina here which brings in the well-heeled yachties and for this reason there's a good choice of eating places. Loutra is also famous for its hot springs and these are pretty low key and inexpensive to visit. In fact you can enjoy one of them for free on the beach, where the water from the hot springs emerges and goes into the sea. There are a number of churches on the island that are well worth seeing, and perhaps making them a target for a walk. The most interesting is the church of Panagia Kanala in the village of Kanala. It stands on top of a hill overlooking the sea. Outside is a lovely garden and inside is an icon of the Virgin Mary, which was painted in the 17th century by a Cretan artist who sought refuge on Kythnos. It is meant to have miraculous powers and the church is packed with pilgrims on the feast day on August 15th - a time to avoid travelling to or from Kythnos.